Established in 1983 and published twice a year at UMass Amherst with the support of Five Colleges, Inc., Nineteenth Century Theatre offered scholarly, critical, and documentary coverage of a broad range of subjects. Issues of the journal contained essays, documents, book reviews, bibliographical studies, and analyses of archival holdings. The records of the journal include essays and reviews submitted for publication, correspondence, and published issues. For many years, Charles H. Patterson served as head of the Department of Language and Literature at Massachusetts Agricultural College. Born in Smithsonville, Ont., in 1863, Patterson received both a BA (1887) and MA (1893) from Tufts University before launching his teaching career. 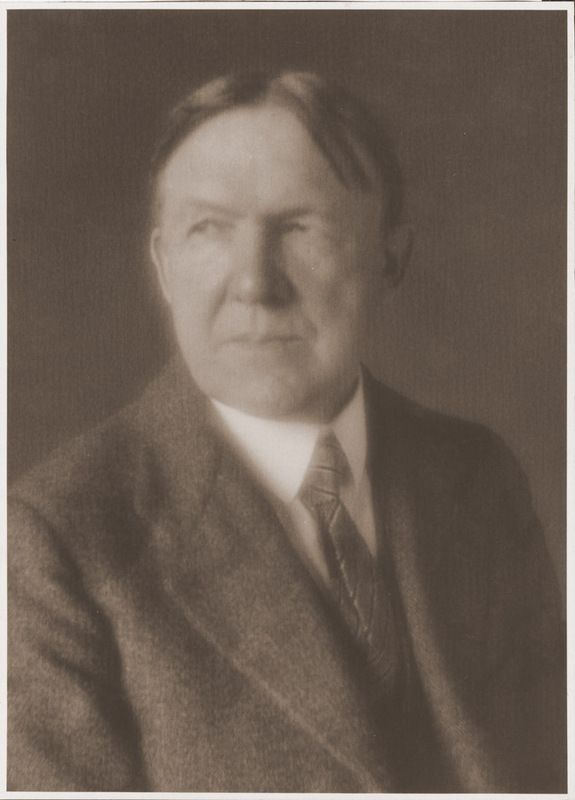 He joined the faculty at MAC as an assistant professor of English, in 1916, after 13 years at West Virginia University. A former professional actor, he taught courses in modern literature, with a particular interest in drama, and served as department chair for nearly a decade before his sudden death in 1933. The Patterson Papers contain a small selection of correspondence and notes on English composition and literature as taught at Massachusetts Agricultural College. Most noteworthy, perhaps, is a draft of Patterson’s unpublished book, The Amazing Boucicault. Simultaneously prolific and tragic, Cesare Pavese was a major figure in 20th century Italian letters. Born in the Piedmont region in 1908 and educated in Turin, Pavese was drawn to English-language literature as a student, writing his thesis on Walt Whitman (1930). Nearly overnight, he became well known as a translator of modern American and British fiction, from Melville, Faulkner, and Steinbeck to James Joyce and Gertrude Stein, and at the same time, he began to publish his own creative work beginning with Lavorare stanca, a book of poetry, in 1936. Although sentenced to three years of internal exile for his anti-fascist sympathies (1938-1941), he continued to write, capped by the appearance of his first two novels in 1941 and 1942. The war’s end saw Pavese blossom into an exceptionally creative period, however even as his renown grew, the effects of depression and a failed love affair with the American actress Constance Dowling led him to suicide in August 1950. Two months before he had been awarded the prestigious Strega Prize. This collection of first and early editions by Cesare Pavese includes five signed volumes: three inscribed to Constance Dowling, one to his friends Leone Ginzburg and later to Dowling, and the fifth to Doris and Harry. 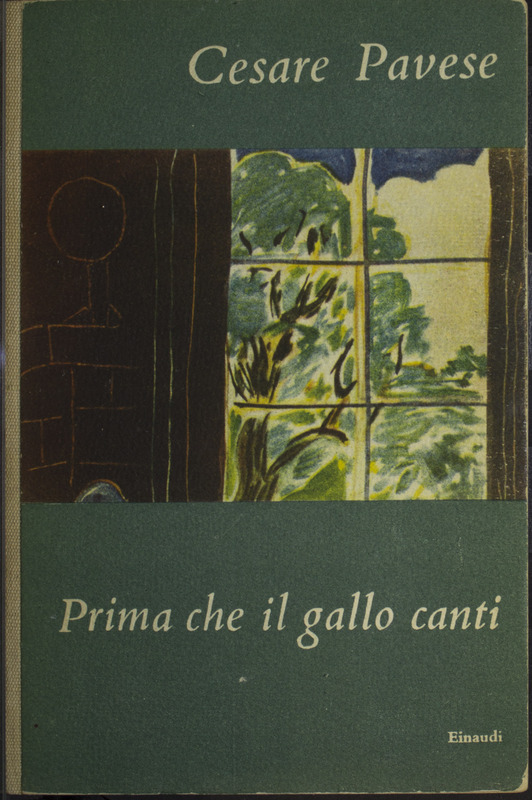 Dozens of other volumes by and about Pavese were donated to the Library’s general collections. Gift of Lawrence Smith, 2018. Classics professor Edward Phinney spent his formative years in Colombia, South America. A product of America’s Great Depression, Phinney hailed from a middle-class Texan family that placed a high value on education. After receiving his PhD from the University of California Berkeley (1963), he joined the Classics department at UMass in 1969, where he became an important advocate for educational technology and distance learning. At various times, he served as faculty director of the Foreign Language Resource Center and as chair of the Department of Classics (1981-1992). A popular lecturer who was considered “extraordinarily generous with his time,” Phinney’s Greek mythology course typically drew 500-600 students. He remained devoted to the Classics — even participating in skits in Pompeii — until his death in 1996. The Phinney collection includes a copy of Phinney’s dissertation, “Apollonius Rhodius,” his diplomas and numerous awards, and selected notes for teaching and research, particularly for his popular course on mythology. Also included are two books of poetry translated by Phinney as well as his translations of Modern Greek poetry written by family friend George Samuel. Novelist Jodi Picoult is known for taking on compelling social and ethical issues and weaving them into the works of fiction that have won her a devoted readership. From her first novel, Songs of the Humpback Whale (1992), to her recent bestseller The Storyteller (2013), Picoult has grappled with a range of topics: fractured families, eugenics, school violence, teen suicide, spouse abuse, a child’s legal rights, childhood cancer, gay rights, the death penalty, war criminals, vengeance, justice, faith, the value of life. To Picoult, a passionate researcher, no issue is simple. Through her characters and her stories she engages the complications, considering provocative questions from different angles. Born in 1966, Picoult graduated from Princeton, where she majored in creative writing, and Harvard, where she earned her M.Ed. She and her husband have three grown children and live in Hanover, N.H. The Jodi Picoult Papers, richly documenting the author’s work process, include research files for Picoult’s novels—correspondence, notes, manuscript pages, and other background material—as well as some drafts, editorial correspondence, clippings, publicity material, early stories, and student material. Also in Special Collections is a comprehensive collection of Picoult’s publications, including the novels in American and foreign-language editions. 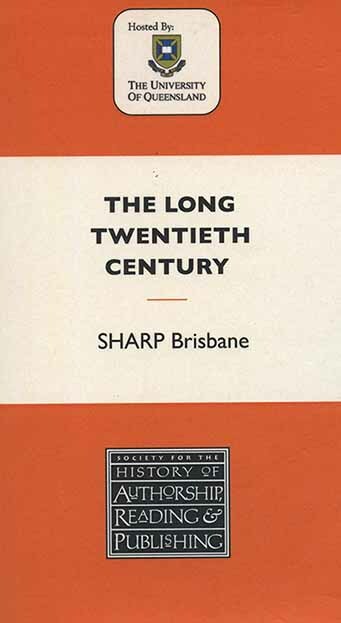 Originating in 1991, the Society for the History of Authorship, Reading and Publishing (SHARP) was established “to create a global network for book historians working in a broad range of scholarly disciplines.” With more than 1,000 members, research interests include the composition and reception of books as well as their survival and transformation over time. Records cover the earliest days of the organization’s development, including founding documents, and document a variety of their activities from hosting conferences and publishing a newsletter to promoting scholarship. The author and social critic Harvey Swados (1920-1972) was a graduate of the University of Michigan who embarked on a literary life after service in the merchant Marine during the Second World War. His first novel, Out Went the Candle (1955), introduced the themes to which Swados would return throughout his career, the alienation of factory workers and the experience of the working class in industrial America. His other works include a widely read collection of stories set in an auto plant, On the Line, the novels False Coin (1959), Standing Fast (1970), and Celebration (1975), and a noted collection of essays A Radical’s America (1962). His essay for Esquire magazine, “Why Resign from the Human Race?,” is often cited as inspiring the formation of the Peace Corps. The Swados collection includes journals, notes, typewritten drafts of novels and short stories, galley proofs, clippings, and correspondence concerning writings; letters from family, publishers, literary agents, colleagues, friends, and readers, including Richard Hofstadter, Saul Bellow, James Thomas Farrell, Herbert Gold, Irving Howe, Bernard Malamud, and Charles Wright Mills; letters from Swados, especially to family, friends, and editors; book reviews; notes, background material, and drafts of speeches and lectures; financial records; biographical and autobiographical sketches; bibliographies. James H. Fraser and his wife Sibylle were eclectic and sometimes omnivorous collectors of the book arts, dedicated to the scholarly exploration of visual culture, the book, and the avant garde. A former Director of the Library at Farleigh Dickinson University and a consultant to many other academic libraries, James Fraser developed an omnivorous passion for German and Eastern European graphic design and book culture and had interests that ranged from Socialist children’s books to Judaica, the American left, Mongolian printing, and Japanese posters of the 1980s. James Fraser died in the fall 2013 and was survived by Sibylle and their two children. 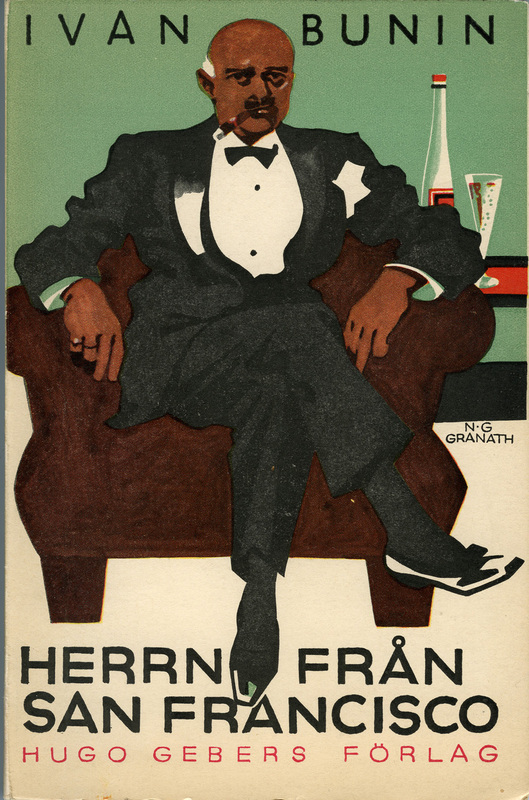 This unusual collection of over 250 volumes is a product of the Frasers’ interest in Swedish book jacket design. Consisting nearly entirely of soft cover volumes printed between the 1920s and 1960s, primarily pre-war, and not necessarily written by Swedish authors, the collection reflects the work of many illustrators drawing on a range of graphic styles, from avant garde modernism to the later parts of the collection, which includes translations of popular works by writers such as Ian Fleming and Agatha Christie. As an undergraduate at Harvard, Maria Tymoczko was lured away from the study of biochemistry into medieval literature, remaining at Harvard through her doctorate and eventually making the subject into an academic career. Since joining the faculty at UMass Amherst in 1974, she has written or edited six books and has built an international reputation in three fields: Celtic medieval literature, Irish studies, and translation studies. A popular instructor, she has also played a leading role on several university committees. The Tymoczko Papers document both the career and university service of a scholar of Irish literature and theorist of translation. In addition to her professional correspondence (1973-1980), the collection includes a significant quantity of material documenting Tymoczko’s university service, including notes from her time as chair of the General Education Council (1986-1994), from the Joint Task Force of UMass and Community College Relations, and the Rules Committee and Ad-hoc Committee on Retention of Administrators of the Faculty Senate. Additions to the collection are expected in the future. One of the oldest programs of its kind in the country, the MFA Program for Poets and Writers at UMass Amherst was established by the poet Joseph Langland in 1963, offering students an opportunity for intensive focus on their creative work. Unlike the Iowa Writers Workshop, where Langland had studied, students in the UMass program were required to take coursework outside of writing workshops. Over its first fifty years, the program has grown into one of the top ten in the nation and its graduates and faculty have been recognized with awards from the Pulitzer to the National Book Award, Pushcart Prize, the PEN/Faulkner Award, and US Poet Laureate. The MFA collection contains a growing body of work from students, alumni, and faculty affiliated with the Program for Poets and Writers at UMass Amherst. Among the hundreds of volumes are novels, collections of short stories, plays, and poetry, including a large number of chapbooks and small press imprints.